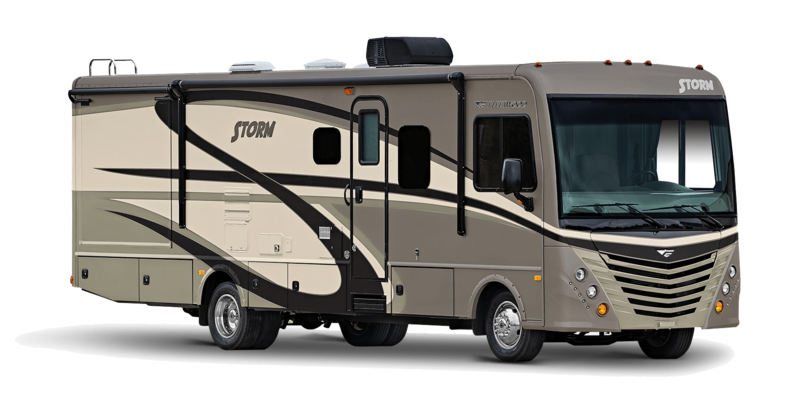 Fleetwood Storm features safety, performance and styling characteristics that make it one of the smartest RVs on the road today. Every detail of the Fleetwood Storm is designed to offer unparalleled convenience, functionality and comfort. Storm has driver convenience in mind with available side-view camera packages, power heated remote mirrors and halogen projector lamps among many other features. Your passengers will love the luxurious living and dining areas including a residential-style bathroom, galley and living room.